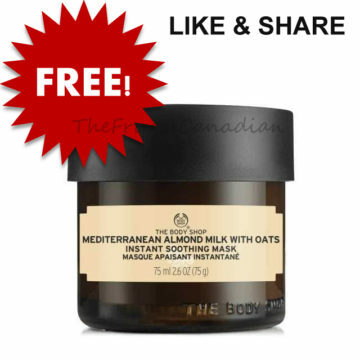 Receive a Free Sample Pack of The Body Shops Mediterranean Almond Milk with Oats Instant Soothing Mask! Contains 2x NEW Mediterranean Almond Milk with Oats Mask Sample sachets. Valid until September 30, 2018.